The Birmingham Mail reports on the court appearance of a man charged with a racially aggravated public order offence following the discovery of a bag containing pig’s heads outside Solihull Community Hub last April. 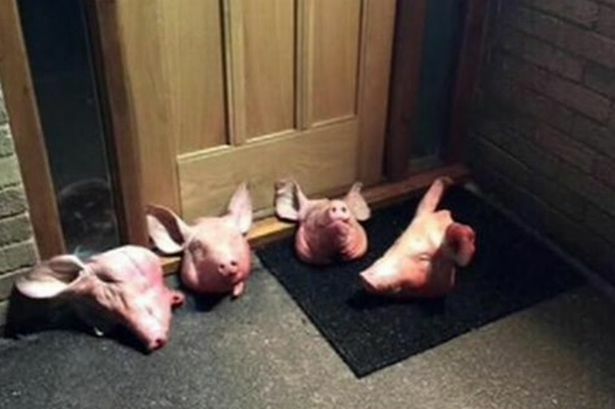 Rumours that the building was being used as an ‘unauthorised’ mosque were in circulation earlier this year with the windows of the building smashed days before the pig’s heads were found on the premises. The Birmingham Mail reports that 34 year old Carl Stephens appeared before Birmingham Magistrates’ Court denying the charges. Danny Devine, prosecuting, said the building had only recently been used as an Islamic centre and that “It had not been open for long and there was some disgruntlement from locals, I put it no more than that. Devine described Stephens’ actions as a “deliberate, planned action against a targeted victim”. The case has been committed to Birmingham Crown Court and Stephens will attend a plea hearing on 18 September, the paper notes.